We've been playing with melted crayons for a few days. Here's a pretty that we've had success with. 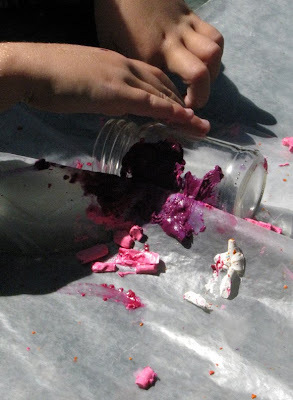 It only takes three or so crayons for a small glass (around baby food jar size). An' you'll need sunshine, or your oven if you prefer. 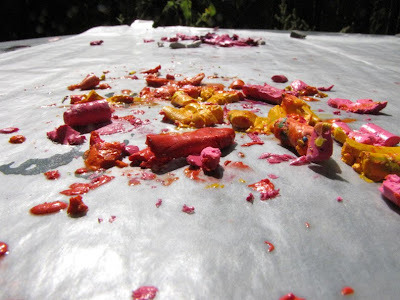 We set shaved and bits of crayons on a piece of waxed paper in the sun to melt. 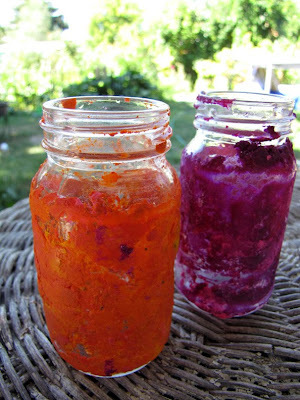 And then rolled clean jars into them before they were completely melted. And will look a right pretty splash of color on our shelves this winter, I figure. 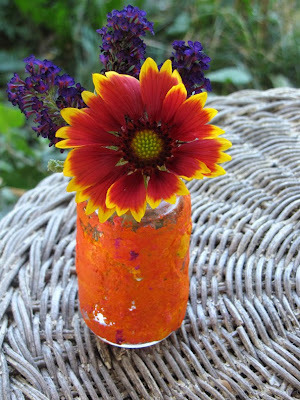 Melted crayons are so versatile, and fun to work with because of all the lovely colors. 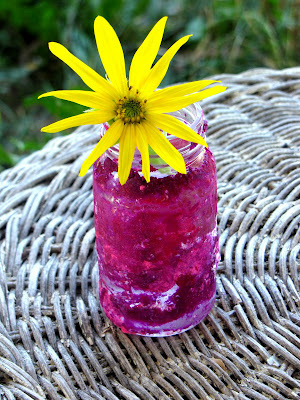 I think these made-over jars are beautiful. We will definitely be trying this one. The vases are beautiful! Perfect for the shelves in winter! Oh cool, we got given a huge container of old crayons ages back that I mean to get around to doing something with. Can see this being a goer. How fun! We've done the crayons on hot rocks activity. My boys loved it!